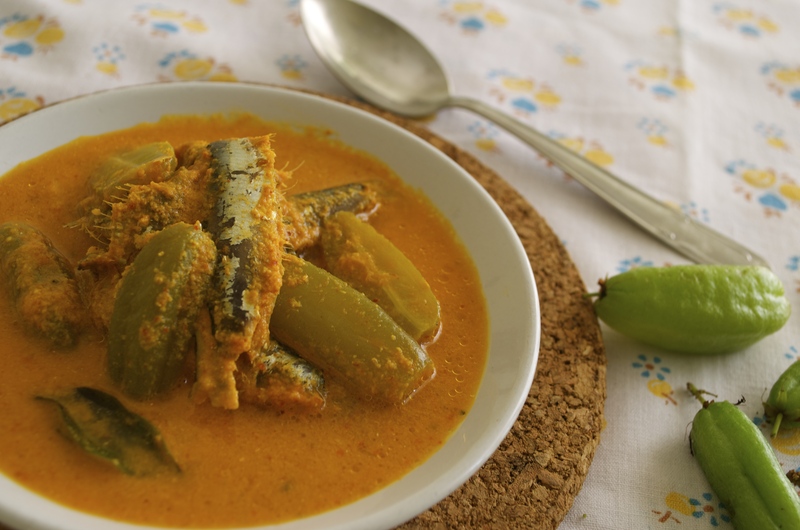 This is not a fancy restaurant-style fish curry, but is a humble Keralan home-style dish using sardines and Bilimbi, or the so-called Chemmeen puli. Traditionally Kudampuli (Malabar tamarind) is used in most Keralan fish dishes but Chemmeen puli is a great alternative as it adds variety and a fresher note to everyday dishes. Chemmeen puli or Bilimbi trees are grown in the backyards of many tropical homes, especially in Kerala. 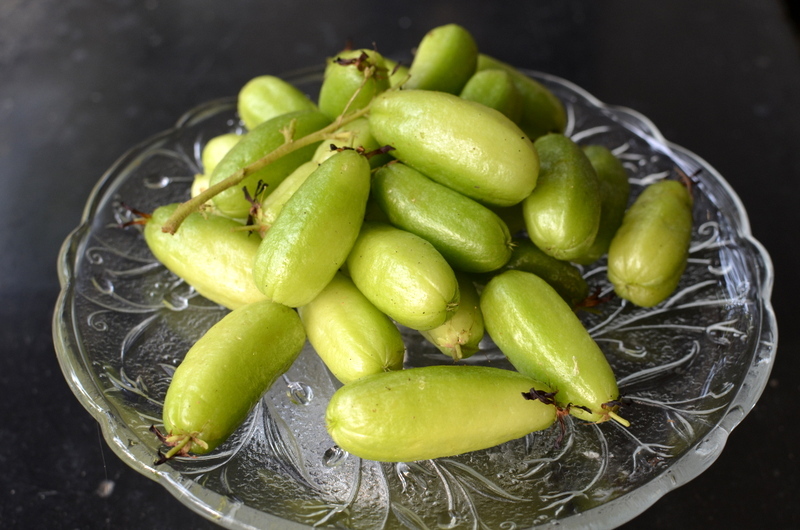 It has various names such as Bilimbi, Chemmeen puli, Irumbenpuli, and more. 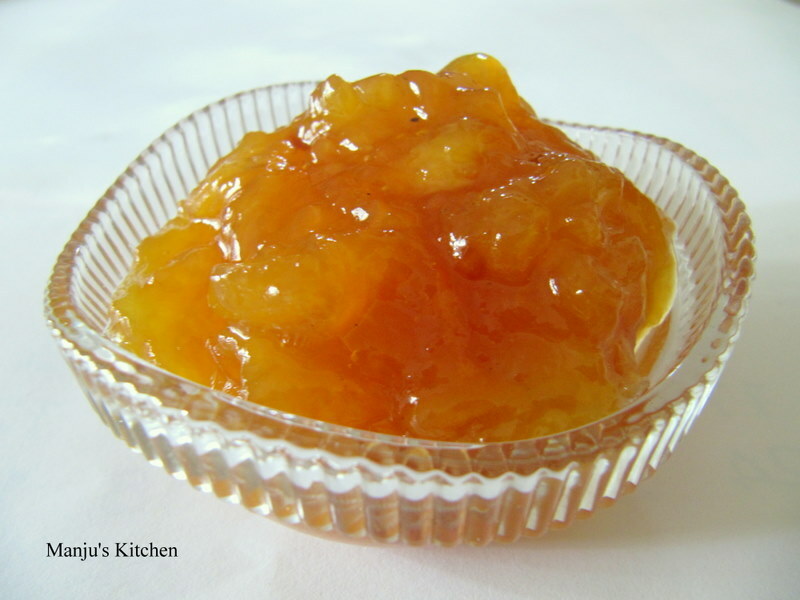 It has a sharp, crisp flavour when fresh and is used to make simple pickles and is also added to prawn and fish dishes. You can use any fish for this type of curry but small sardines were in season when I was in Kerala last week, and were the freshest catch of the day. Grind fresh coconut with chili powder, turmeric powder and shallots to a fine paste adding little water . Mix the ground coconut paste with enough water to make a thick sauce, heat gently in an earthen pot (meen chatti) for a few minutes. Add salt and chemmeen puli and simmer for few minutes. Then add the cleaned fish and cook gently for five to ten minutes until the fish is cooked. 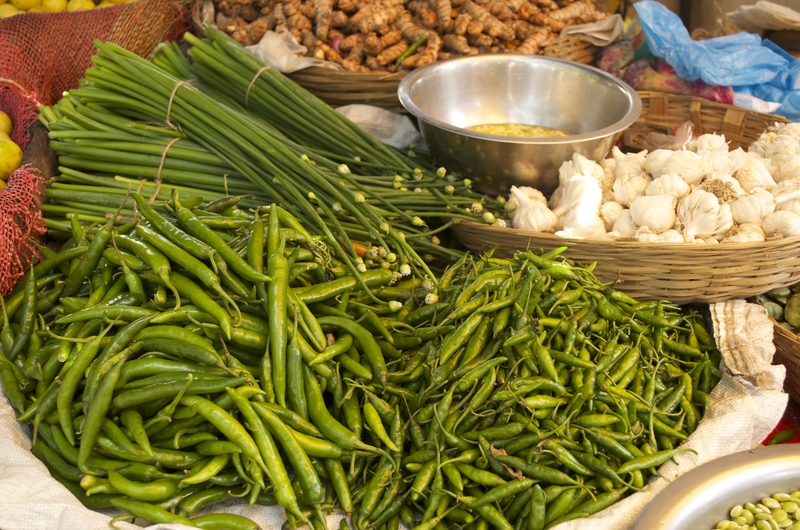 Remove the curry from the heat, check the seasoning and finish with plenty of curry leaves and a good drizzle of fresh coconut oil.